Homestead a home that has been placed in a trust by filing this Massachusetts Declaration of Homestead for Homes Owned by Trustee(s). The purpose of filing the Declaration is to seek an additional exemption over and above the one granted to each homeowner under Massachusetts law. All of the trustees of the trust must sign the form. The declaration form should be completed and filed with the County Recorder's office in the county in which the property is situated. 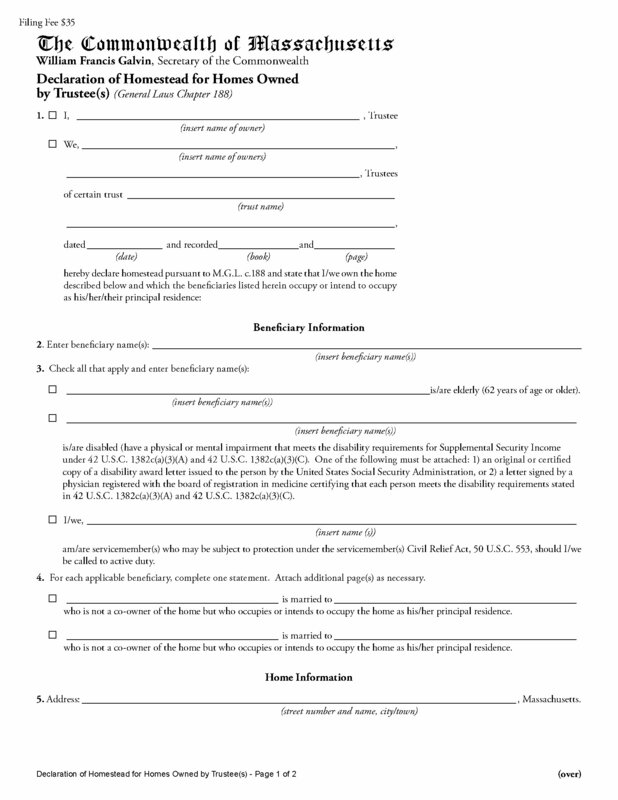 This Massachusetts Declaration of Homestead for Homes Owned by Trustee(s) is a free PDF form which can be filled in and filed along with the applicable filing fee.